Back from NYC and ready to Spring Forward to look my very best this Bikini Season! Enter this awesome contest giveaway on Instagram to win cute workout outfits by Soffe! Follow the instructions in the photo to enter! A healthy breakfast at Blue Dog in Manhattan and then a walk across the Brooklyn Bridge for some exercise! I have officially fallen in love with the Big Apple. ﻿ It’s been extremely difficult trying not to over eat all the delicious NYC pizza and Carmine’s pasta, but I’m still enjoying myself in the City! As a Pescetarian, I’m always trying to find new ways to add protein to my diet. I recently came across this article on Stronglifts.com called Build Muscle on a Budget, which inspired me to make a simple Albacore Tuna and Egg Salad. 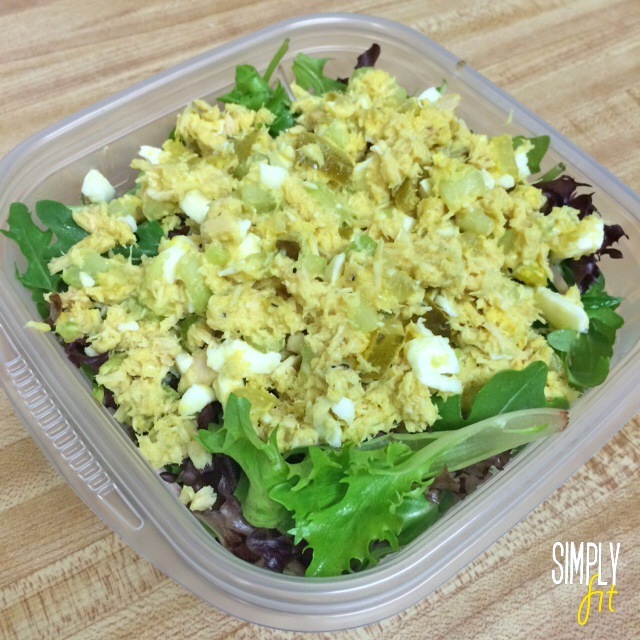 I mixed the canned tuna chunks with one chopped hard boiled egg, chopped celery and pickles, and mustard. Topped this mixture on some lettuce and Voilà! Canned tuna has 40g of protein per can and whole eggs have about 7g of protein per egg! All of my favorite foods mixed together! I love making this easy and yummy salad for work. 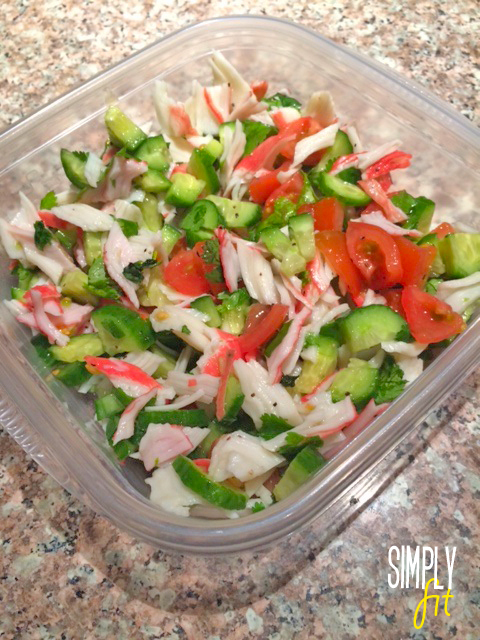 In a medium size bowl, I mixed chopped Persian cucumbers, cilantro, crab meat and cherry tomatoes with lots of lemon. I’ll even add avocado if I have some in my kitchen. Yum!